I have lived in the UK for 3 years but I found out that I haven’t really seen most of it. Yes, I know London very well. But honestly, how British is it? I turn myself into a Google map of the UK and I see it there: York. By the time I close my laptop’s window showing the island of Britain, I already made my simple and quick decision: it will be York that I visit. And after returning from there, I can say that it was the most incredible 36 hours in York… ever! It is on average 2 hours away from London by train. Virgin Trains East Coast operate a frequent service for attractive prices to York. My journey was quick and comfortable. Just 3 stops on the way from King’s Cross, I reach York where a dry autumn weather welcomes me. My first stop was Safestay a luxury hostel on Micklegate a nice area of the city centre of York. The hostel has offered me a stay in a private room for the night and a breakfast buffet. The room where I stayed has so many features that aren’t usually found in hostels and definitely make it stand out. Despite high expectations, the breakfast was just ok. There are also common rooms in the hostel that look quite lively with people staying over there to mingle. But I had only 36 hours in York, I haven’t really spent much time at the hostel. I drew a little itinerary for my week-end with the help of York Pass. This amazing pass gives access to a huge number of attractions in the city. I was really surprised to see that there is so much to do in a city of the size of York. The pass includes a guide which was useful to point at things I’m interested to see and do. I chose to start with Bar Convent because it was right near my hostel. I saw an interesting exhibition and the chapel where I left a kind note on the guest book. Bar Convent is actually the oldest living convent in England. A minute away, I found myself in another attraction of the York Pass: Micklegate Bar where I plunged into medieval times of the city. I continue my visit by walking towards the other bank. I cross a cute bridge of the name of Lendal Bridge where I stood for several minutes to contemplate the view. The River Ouse is passing under, YorkBoat services operating sightseeing cruises and the Medieval Walls gloriously standing and circling the city and people on foot crossing the bridge linking Station Road to Museum Street. It was perfect, very active and lively but yet not hectic. I’m surprised to see such old walls so well preserved. I don’t think any city in the UK has so much history. In just 36 hours in York, I saw 2000 years of history. I travelled in time within a 4 miles radius. And that is quite incredible! After a quick chat with the staff from Visit York – tourist information, I was given insider tips on where to eat. 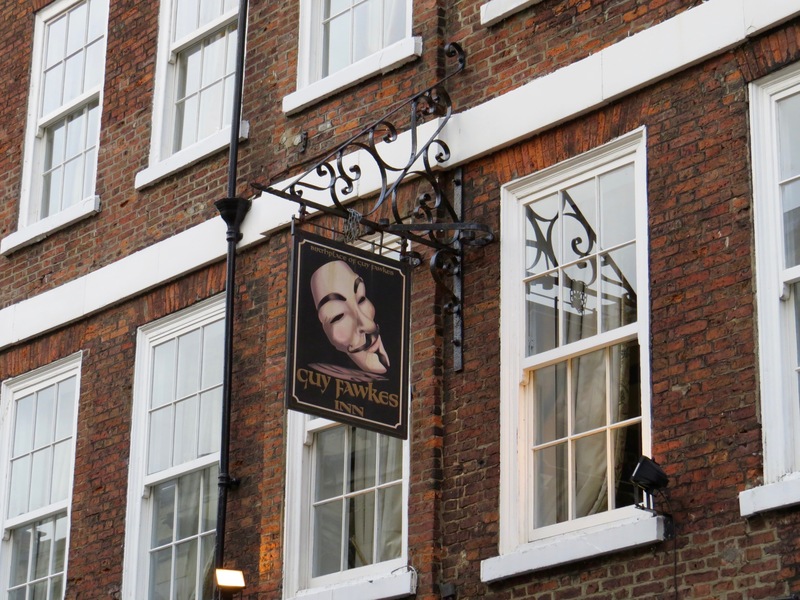 I chose Guy Fawkes Inn, a historical pub as old as 410 years where Guy Fawkes himself (known for 5th November, bonfire,…etc) was born. I had a massive burger which was probably not the best thing to eat there but it was still fine! After lunch, I hit the road towards York Minster which is really beautiful from inside and outside. This religious site took 250 years to complete its construction. This minster has some of the most beautiful stained glass I’ve ever seen! At the start of the evening, it was good to go on a walk around the little streets of the city. It gets crowded with people going out and I had the impression some have already started their Christmas shopping. Talking about shopping… I went to York Designer Outlet, a temple for designers fashion addicts. Prices are affordable for everyone to wear big brands. I unexpectedly ended up buying lots of clothes there. And honestly, with only 36 hours in York, it was hard to squeeze it into my schedule as it is not in the city centre but 25 minutes away by bus. I would have planned in advance to stay one more day if I have known it was that great! For the night, I went on an unusual bus ride with Ghost Bus Tours. York is the most haunted city in Europe so obviously there are so many ghost stories and I got to know a lot from this bus ride. I would definitely recommend, nice special effects and good laugh with the guide. During my second day it was pouring rain. But I had to check out from the hostel at 10 and I was like: rain or shine, I will continue my visits. Although, unluckily as I arrive to Clifford’s Tower, the rain intensifies. I was in one of York’s English Heritage site with the only 360 degrees view on the city. The view was breathtaking. And the orange colours of Autumn dominates the horizon. I walk from Clifford’s Tower to Jorvik Centre to get to know the Viking history in the city. But the queue was so long I did not want to wait. I keep walking on Coppergate and I came across one of Visit York’s recommendation: Betty’s, Yorkshire’s finest tea and café rooms. There was a queue outside but I get in within 5 minutes. I got a Blackberry cheesecake and a hot chocolate from a seasonal menu. 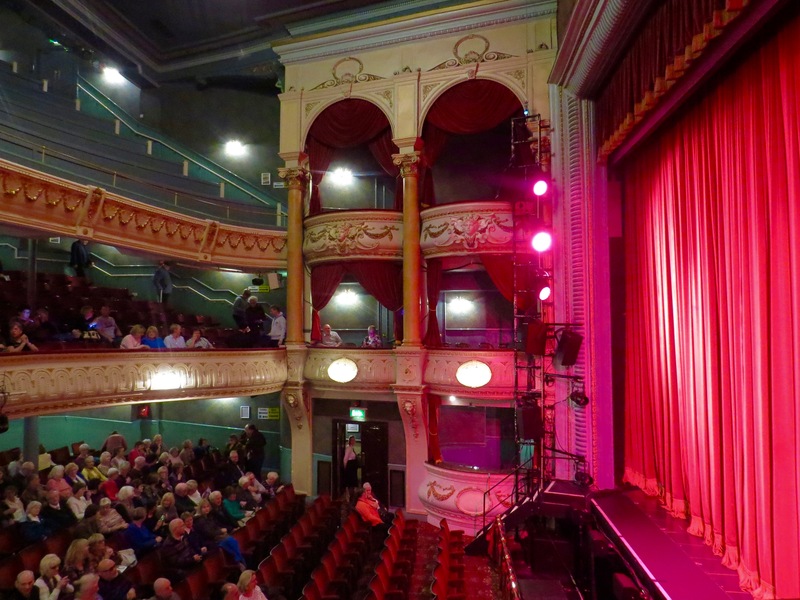 For the afternoon, I chose to watch a musical at the Grand Opera House which is a bit of London’s West End in York. The musical I saw was Dreamboats and Miniskirts a small but entertaining production. I feel like I’ve done so many things in 36 hours. I return back to London by train (courtesy of Virgin Trains East Coast) with such great memories of a city I did not know before but I had the opportunity to discover. I really think York is the perfect Autumn city break destination in the UK. I also visited the biggest railway museum in the world. But I will tell you about it on another article. Thanks to Visit York for organising my trip but all views are my own. This was very well written and helpful. I will now include York on my itinerary. Thanks!